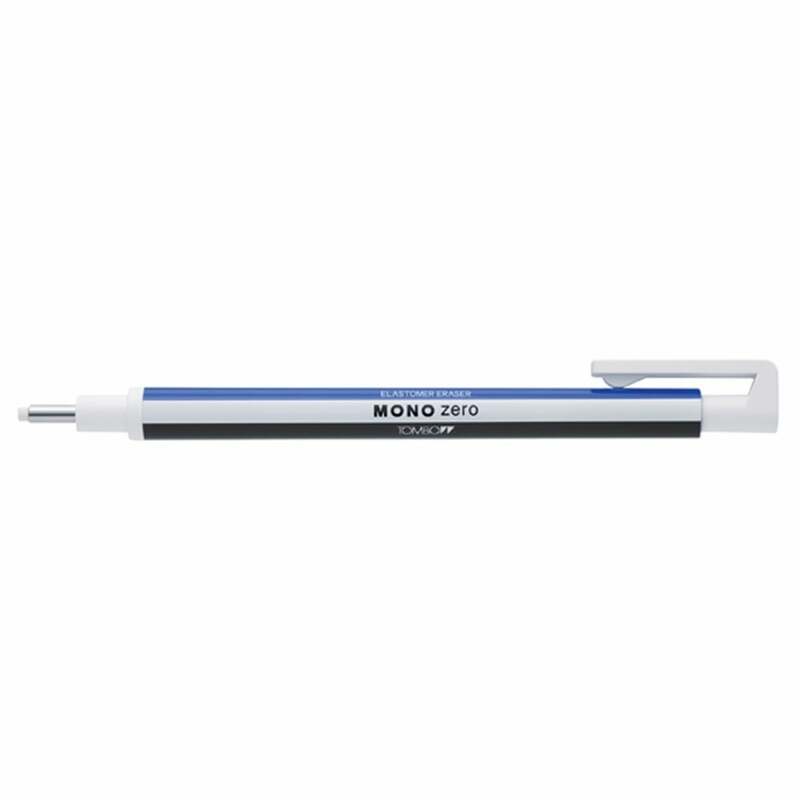 The award winning Mono Zero eraser from Tombow is ideal for clean, pinpoint erasing. This quirky product looks like a pen but in fact houses a long, 2.3mm round tip eraser. As you would with a retractable ballpoint pen, simply push down on the clip to advance the eraser. Simple in design with a barrel made up of the iconic brand colours, blue, white and black. A perfect companion for architects, illustrators, designers and precise beginners. Showing 2 Tombow High Precision Round Mono Eraser with Refill reviews. Average rating of Excellent. Would you like to write a review? Perfect clean removal of virtually ALL charcoal, graphite, soft pastel and coloured pencils. They are great for fine detail areas, creating highlights or cleaning up edge's and ends. Accompanied with the refillable, retractable pen design, makes them for me perfection. This eraser has changed my pencil drawing. Allows you to do the smallest of erasing. Also great it comes with refills.